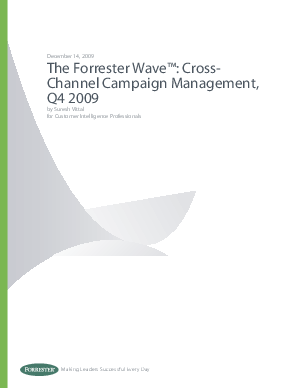 Are you looking for a cross-channel campaign management (CCCM) solution that supports highly personalized and relevant communications delivered across a variety of highly interactive channels? Read Forrester's 91-criteria evaluation of 11 CCCM vendors and see why Unica was named a leader. Download your free whitepaper now!